Update: The Acer Predator will be available in June for $1,999 MSRP. However, it won’t feature the integrated Tobii eye-tracking technology as initially reported. Furthermore, Acer doesn’t mention the DCI-P3 color gamut coverage in the specifications sheet. The monitor will be able to provide 4K at 120Hz natively or 4K HDR at 98Hz with 4:4:4 Chroma subsampling – or 4K HDR at 120Hz with 4:2:2 subsampling (8-bit color) which is overclockable to 144Hz. The HDR support is certified by VESA DisplayHDR 1000 and Ultra HD Premium standards. Acer has recently announced yet another ground-breaking monitor at the [email protected] event. The Acer Predator X27 will feature 144Hz refresh rate with Nvidia G-SYNC HDR and 4K resolution. 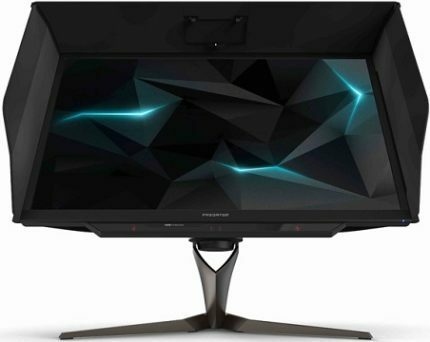 Back in January, Acer had also announced a gaming monitor with the same specifications, the Acer Predator XB272-HDR, which took all of us by storm. Now, as if it weren’t enough, Acer takes the already cutting-edge display to the next level with an addition of the built-in Tobii eye-tracking technology. 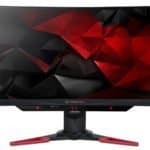 On a related note, Acer has also announced another gaming monitor with a high refresh rate and the Tobii eye tracking, the Acer Predator Z271UV G-Sync display with a 1440p native resolution, 1800R curvature, and 165Hz overclockable refresh rate. The quantum dots in the Acer Predator X27 4K monitor expand the range of colors to 100% sRGB, 99% Adobe RGB, and 96% DCI-P3 color gamut which ensures accurate, consistent, and vibrant colors at all times. In combination with the peak brightness of 1,000 nits, higher contrast ratio, HDR (High Dynamic Range) support, and the local dimming in 384 individually controlled zones, the image quality of this gaming beast will be otherworldly and drastically change the way compatible video games look. Naturally, that’s gonna require a lot of power from your computer; in fact, there is no powerful enough graphics cards nor a single connector with adequate bandwidth available at the moment which can unleash the full potential of this monitor. 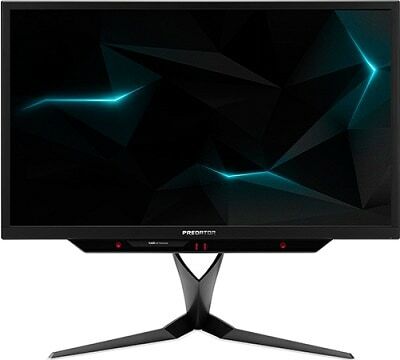 The Acer Predator X27 HDR display will feature AU Optronics’ M270QAN02.2 AHVA panel which is responsible for the high brightness and refresh rate combination. The AHVA panel, essentially an IPS, also ensures the impeccable 178-degree viewing angles, a rapid 4ms response time, and consistent colors. Once the monitor’s released as well as the proper equipment needed to fuel the full potential of the Acer Predator X27 144Hz gaming monitor, Nvidia G-SYNC will make sure that the gameplay performance is as smooth as possible. Those with G-SYNC compatible Nvidia graphics cards will be able to synchronize the monitor’s refresh rate with the GPU’s frame rate and thus gain a more steady FPS (Frames Per Second) rate which will eliminate screen tearing and stuttering as well as reduce the input lag and prevent fluctuating of the FPS. The difference between 144Hz and 60Hz in fast-paced video games is nowadays clear to everyone. In competitive gaming, a 144Hz gaming monitor gives the players a colossal advantage over the other players with regular monitors due to imperceptible latency and tearing as well as an overall smoother performance. However, being able to finally reach 144Hz on 4H UHD resolution is something which will certainly take the gaming world to the next level. The Tobii eye-tracking technology is a built-in camera which tracks the eye movement of the player in order to help him aim and respond in fast-paced action video games. Add to that the standard features of the Predator series such as the crosshair overlays, the Dark Boost for better visibility in the dark scenes, and the pre-calibrating gaming presets, and you have everything you need for immersive and engaging gameplay. Not much has been revealed about the design in terms of screen coating and the cabinet finish. However, we do know its ergonomic functionalities which involve up to 115mm height adjustment, +/- 45 degrees swivel, and -5, 25 degrees tilt. 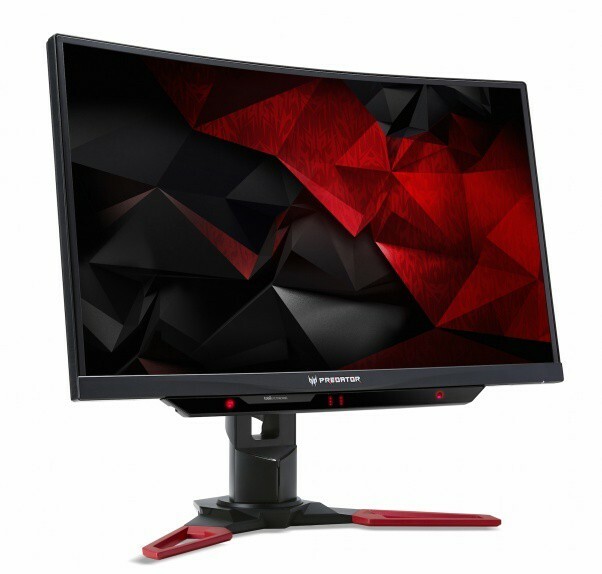 It’s also unknown whether the Acer Predator X27 PC monitor will be VESA mount compatible. The connector ports include an HDMI 2.0 which maxes out at 60Hz, and two DisplayPort 1.4 which support the Nvidia G-Sync technology and use 4:2:2 chroma subsampling in order to stay within the bandwidth of the DisplayPort. There are no extra USB ports specified but there is an audio line-out port for the 2x7W built-in speakers. The release date has been pushed until Q3 2018 while the Acer X27 price is still unknown. 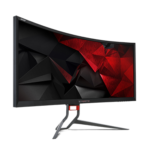 Both ASUS and AOC also have 4K 144Hz gaming monitors which use the same panel as the X27 coming in Q3 2018, you may want to check out the ASUS ROG Swift PG27UQ and the AOC AG273UG. The Acer Predator X27 G-Sync HDR monitor is set to change the way people play games, for the right price. This high-end toy will bring video games to life thanks to the incredible brightness level, the superior contrast ratio, and a wide color gamut made possible by the quantum dots and individually controlled 384 backlight zones. The Acer Predator X27 will break ground with its innovative 144Hz at 4K gaming possibility. Moreover, it will provide an otherworldly image quality thanks to the quantum dots and 384-zone backlight which allow for incredible brightness and range of colors. You say it’s IPS? Isn’t quantum dots VA? Is there a link to where NVIDIA said these monitors would be out by end of April? The last I read, these have been delayed till Q3 2018 :(. Thanks. Developed by AUO, AHVA is short for Advanced Hyper-Viewing Angle. The acronym can be slightly confusing as AHVA technology will sometimes be mixed up with Vertical Alignment even though it makes use of In-Plane Switching (IPS). Isn’t quantum dots VA only, it has been so far. Quantum Dot is a Sony/Samsung technology. They use it for their TV’s which aren’t VA’s so nope. Not necessarily at least. I bought an Acer Predator 32″ xb321hk and the GSync and artifacting issues still continues even after 2+ months of Acer having my monitor as well as swapping out with a new monitor (included 4 times shipping back to them). Even if this is a different model monitor it displays how Acer handles it customers. Yes it is. IPS is trademarked by LG for use in their panels.